Asus will be a bringing a new, gamer-specific monitor to market later this year, and it's got the brand new Nvidia G-Sync hardware baked right in. The "Republic of Gamers" ROG Swift PG278Q is feature rich, to say the least, packing a 2560x1440 27-inch display with a 1ms response time, and "120 Hz+" refresh rate (which means a max rate of 144 Hz is possible). 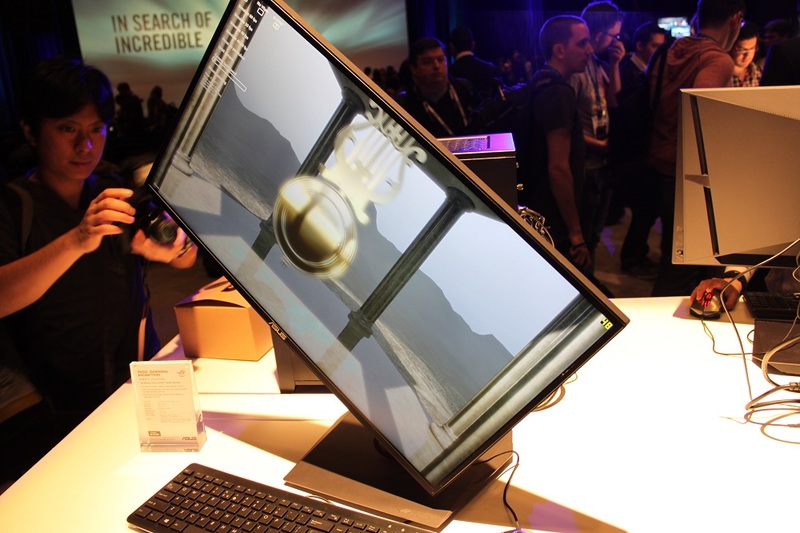 The narrow bezel makes it a prime candidate for multi-monitor gaming setups, too, as does its full swivel, tilt, rotate, and pivot base. I/O is a bit limited, but includes one DisplayPort 1.2 connector, and two USB 3.0 ports onboard. Nvidia's G-Sync hardware eliminates the need for v-sync in PC, claim both companies, as it adds a small board inside the display housing that more effectively communicates with your PC's Nvidia GPU. No more tearing and no more missed frames due to G-Sync. So far, these claims have proven mostly true, especially after going hands-and-eyes-on. 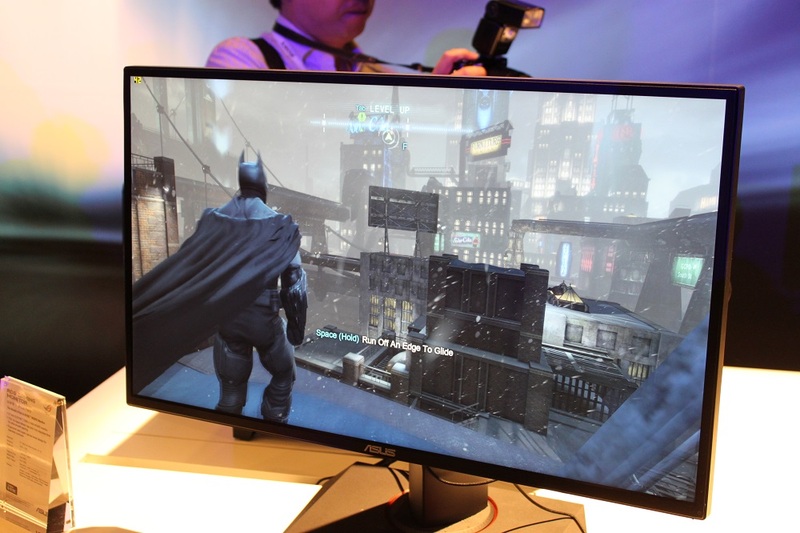 Between custom demos and Batman: Arkham Origins, it proved extremely difficult to find any tearing or lost frame info when looking at the PG278Q. If you crave fluid gaming, and don't mind spending a little extra for it, G-Sync will prove to be a worthwhile investment, without a doubt. 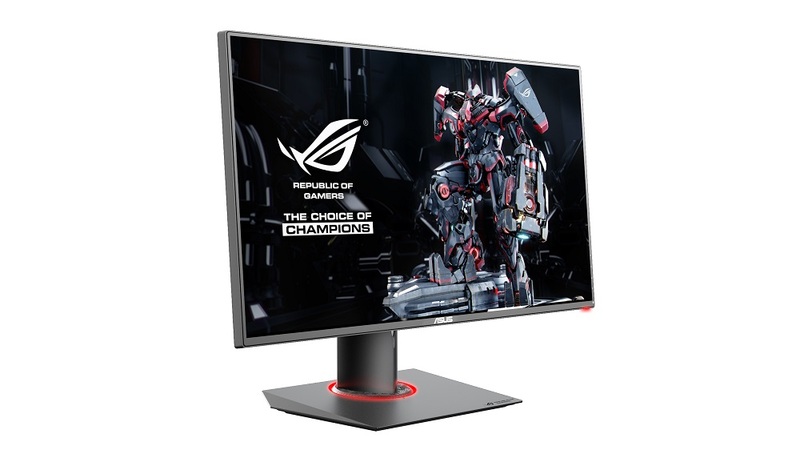 The PG278Q will also come equipped with Asus' own GamePlus tech, which allows you (via the display's OSD) to overlay any number of different crosshair, sights, and timers over your PC game of choice. If that tiny crosshair in CSGO is too hard to see, add your own! Need to time armor spawns in Quake Live? Not a problem. The Achilles Heel on the PG278Q, and other G-Sync displays? Price. Manufacturers are going to be passing the cost of G-Sync on to you, which means any enabled display is going to run a few hundred more than its non-G-Sync counterpart. The PG278Q will run you $799 when it's released in Spring 2014.